According to Korea Exchange (KRX), Korea Listed Companies Association (KLCA), and KOSDAQ Listed Companies Association, there were 333 KOSDAQ listed companies that recorded deficit in 2018 and they accounted for 36.56% of entire KOSDAQ listed companies. This percentage is also up 3.27% compared to the percentage in 2017 (33.29%). Out of 333 companies, 108 companies went into deficit for the first time while 225 companies had remained under deficit. 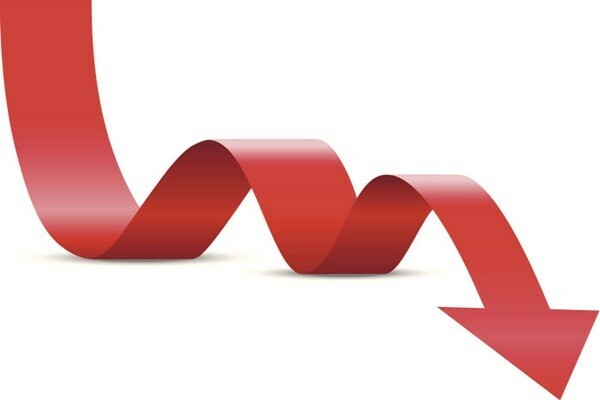 Within securities market, total of 138 companies recorded deficit in 2018. 61 companies went into deficit for the first time while 77 companies had remained under deficit. Number of companies that recorded deficit within securities market accounted for 25.56% of entire companies. Within KONEX, 44 listed companies out of 114 companies recorded deficit in 2018. It seems that performance of semiconductor sector had had huge influence starting from the fourth quarter of 2018. Although amount of sales for both KOSPI and KOSDAQ listed companies went up, amount of operating profits had remained the same while amount of net profits went down slightly. Fact that many loss makers had listed themselves on KOSDAQ market also had impact on reduction of amount of entire profit. Amount of sales of 540 KOSPI listed companies (excluding financial companies) in 2018 was $1.67 trillion (1894.6674 trillion KRW), which is 4.76% increase from the amount in 2017. Although amount of operating profits also increased, amount of net incomes decreased by 6.72%. Samsung Electronics has huge influence on increase in amount of operating profits and net profits of KOSPI listed companies. Excluding Samsung Electronics, amount of operating profits and net profits of KOSPI listed companies in 2018 was lower than the amount in 2017. Amount of sales of KOSPI listed companies excluding Samsung Electronics in 2018 was $1.45 trillion (1650.8959 trillion KRW), which is 5.22% increase compared to the amount in 2017. However, amount of their operating profits and net profits decreased by 4.57% and 13.51% respectively compared to the amount in 2017. Difference in performance of IT businesses and non-IT businesses was huge within KOSDAQ market. 344 IT businesses that are listed on KOSDAQ saw both of their sales and net profits go up. Amount of sales and net profits of IT software and service providers especially went up by 16.3% and 31.96% respectively. On the other hand, amount of net profits of non-IT businesses decreased by 22.52%. Amount of net profits of businesses in distribution field especially went down by 56.64%. Amount of net profits of manufacturing businesses and pharmaceutical businesses decreased by 31.54% and 19.98% respectively. Forecast of performance of listed companies for this year is also unclear. Not only is trade negotiation between the U.S. and China is making slow progress, it is expected that semiconductor industry will continue its slump in 2019 as well.